It has been 2 years since my Kindle arrived (September 2, 2010 to be exact). Sure not exactly an early adopter, it was more than 3 years after the initial launch of the device and part of the product and marketing blitz that allowed Kindle books to outsell print books in Q4 2010. And for the most part I have switched my consumption to digital books. Not including technical books (thank you O’Reilly), I have purchased and read 85 science fiction books on the Kindle (almost 1 book per week). award winning Old Man’s War , The Ghost Brigades , The Last Colony , and Zoe’s Tale . These books are amazing, they are a great romp through crazy military and technology. I continued with The Evolutionary Void continuation of the Void Trilogy (which was part of Peter F Hamilton’s Commonwealth Saga including Pandora’s Star and Judas Unchained possibly 2 of my favorite books in the past 10 years). I was waiting for new new releases from Charles Stross, Alastair Reynolds, Richard Morgan, Cory Doctorow and Orson Scott Card. While waiting I decided to switch strategies, I would try to find books that were $0.99-$2.99 in price. My reasoning, my engagement per book was just greater than 7 days, I figured like renting a movie (approximately $5.99 for 2 hours on iTunes HD) that would be my threshold. Unless a book was part of a series I had read previously, or an author I was following my limit was $2.99/book. There are a lot of interesting books but here are my favorite series and authors. What are you reading? This might be the best SF I have read in a long time. 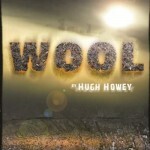 The Wool series is one of the most engaging dystopian futures I have read. I starting reading based on a tweet by John Lilly. It’s just an amazing series. Another Canadian. This one living in Sudbury. 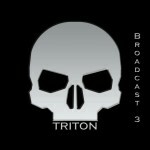 Like many others I’m waiting Broadcasts 7 & 8. This incorporated a lot of future tech I have seen elsewhere but it is the characters and the story lines that make it worth the read. Another Canadian. Hmmm, I wonder if there is a trend. The Warrior’s Wings series is one of my recent favourites. 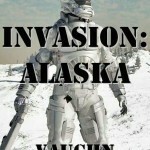 It’s great romp of military science fiction. This is a strange series. I disliked BV Larson’s Mech series, I disliked the books so much that for the first time I did not finish the series. But I have enjoyed the expanding Star Force Series. The simplicity of programmed circuits and logic for a species is very interesting, particularly when matched against the less than binary humans. Thanks for the suggestions… I just picked up the Wool Omnibus Edition – $5.99 on the kobo. It’s a great series. Hope you enjoy.